Walsine Pierce: WHATS NEW, DIFFERENT OR EXCITING: Let's see now? IS THERE ANYTHING NEW, DIFFERENT OR EXCITING? Ummm! Let's see now. 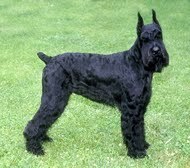 Except for old Gunner, my giant schnauzer, I haven't spoke to anyone today. My TV isn't working, hasn't for days--a cable problem--so don't know any news, no papers or phone calls, SO, what is there for a guy living by his self in a shanty by the lake? How about some beautiful, new rose buds? Doesn't get much more exciting that that does it? At least no prettier. What does one see the most of? You'd never guess. Here is a picture. Yep, my bare feet propted up as I read. What a handsome pair of legs, check out that buldging calve. (Is this a good place to insert "Meek, lowly and humble"? If I raise my eyes, I see the couch and the book case at the other end of the room. On the book case are pictures of my cousins taken in 1931 when I was a few months old, my family, my brother Ray fishing alongside a river, an album of my kids, and all my grand children. Next to me is a picture of my pretty wife. When the TV is working I watch the news. During the advertisments I look out the window behind the TV and check out the lake. THE CABLE TV HAS BEEN OFF FOR DAYS AND CAME ON AS I WRITE THIS BLOG. HURRAH!! The lake is on two sides of my lot which backs onto a state park. There is a brushy strip between the park's parking lot and my garden. There is two docks and two boat launches. I am at the north end of Knox Lake. The lake winds three miles south of me, between the hills, to a large area at the dam. I fix my own meals in a small but efficient kitchen and get to choose where I want to set. I also get to do the dishes. Un huh! You wouldn't believe the paper plates and bowls I go through. I do drink coffee out of a good cup, thats it. I use plastic ware. The "dishwasher" is a small, green bin. I also am fully in charge of what's on the menu. Lots of fruit, some veggies from my own garden, sometimes healthy and sometimes just good. Tonight it was a chicken stir fry. Yummy. And, thanks Julie who keeps my fridge stocked. While the kitchen table only seat four and the bar two, we have fed dozens of family and up to 65 friends and family under cover outside and on the deck. Life is good. I did go fishing today. I had a 12 item "to do list" but no one cares that I only got seven thing done. ONE MORE THOUGHT. When is the last time you simply sat and watched the moon rise and turn from gold to silver? Tonight the lake was a little rough. Last night it was smooth with a wide, gold, then silver streak across, shore to shore. Often I watch the moon rise from the deck with a glass of red wine, an apple and some yellow cheese. AHH, the good life. This morning there was a midst over the lake and I couldn't enjoy sunrise. Sounds like a lovely place, Walt! I am reminded of an old saying, "Bloom where you're planted." 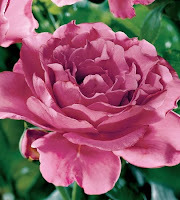 All of us need to stop and smell the roses and enjoy where we are at the moment. Having my nose stuck in a school book most of the time, I needed that reminder. I will make it a point to get out and walk down to the beach at our lake. Sending you hugs ((( )))!